It's been awhile since I picked up a book, sat down, and read 110 pages without getting up, but that's exactly what happened with How To Read the Air. (Okay fine it just happened with my current read, People Who Eat Darkness, but besides that it almost never happens.) I've had Dinaw Menestu on my radar since he made The New Yorker's top 20 under 40 authors list. I had heard a lot about his first novel, The Beautiful Things That Heaven Bears, but then I found How To Read the Air at Half Price Books and thought I'd start with that one. I was not in the least disappointed, however I should mention the first half of the novel felt stronger than the second half in terms of plot and development. Regardless, I don't think this is one to be missed. 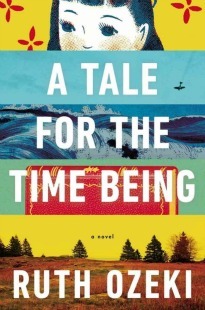 The novel follows two interwoven story lines: one of Yosef and Mariam, a young immigrant couple from Ethiopia living in the Midwest during the 80's and that of Jonas, their now 30-year-old son living in modern day New York. To understand Jonah, we have to understand his parents and the toxic domestic dynamics with which he grew up. The novel as a whole is on the somber side, as as we read about Jonas' failing marriage, his parent's dysfunctional and abusive relationship, and the difficult relationship they have with their son. Eventually Jonah embarks on a solo road trip to Tennessee, retracing the path his parents took 30 years earlier, in an attempt to make sense of his history and cultural identity. As the past unfolds to the present, Jonah forces himself to confront issues that he has been ignoring for years. This novel offers a lot to digest in terms of themes and parallels. For me it was reminiscent of Jhumpa Lairi's The Namesake, as both examine the immigration experience and the sense of isolation it creates, with a focus on the second generation. In addition, the novel explores the idea of redemption and the ability to rebuild the present despite past histories, and truth verses imagined memories and what we train ourselves to perceive. The novel is beautifully written; the prose is elegant and fluid. It's no wonder Menestu made the New York's list because his writing really is brilliant. As I mentioned above, the latter half of the novel faltered a bit, but the prose and strong introspective characters made up for it. When I was at Half Price Books last weekend and found a hardcover copy of The Beautiful Things That Heaven Bears, I put it in my basket immediately. This sounds exactly like the type of book I like to read. Thank you for the recommendation! Awesome I hope you get a chance to read it. nice review and this sounds like one to try. I, too, have had The Beautiful Things on my radar, but hadn't done much about it--yet. look forward to your thoughts on that one as well. btw. usually read you through my Reader, so I'm not sure how long you've had that Header, but I like it! Hey thanks I literally just changed it two minutes ago. Glad u had a chance to read this one. I was thrilled after reading both books by this author -- hope he writes something else soon. Me too! Which did you find you liked more? I know The Namesake was awesome. This one wasn't AS good, but quite good nonetheless. I hope Lahiri comes out with another novel soon. I LOOOOVED The Beautiful Things That Heaven Bears and have had How to Read the Air in my TBR pile since finding a copy for like $2 at the Borders liquidation sale. I'm thinking I may tackle this one sooner rather than later. Awesome I can't wait to read BTTHB! Glad to hear you liked it so much! I've heard a lot of great things about Dinaw Menestu. I look forward to reading one of his books and this sounds like a great place to start. Thank you for sharing!